If you need a cost-effective replacement for several missing teeth, partial dentures are one of the most popular options. Partial dentures are removable prosthetics, custom designed to match the shape and appearance of your gums and surrounding teeth. Partial dentures are an affordable treatment option that will greatly improve your ability to speak, chew, and smile with pride. There are risks and benefits to partial dentures that you must compare with other available options, such as bridges or implants. Like natural teeth, partial dentures need to be cleaned and cared for regularly. Dentures cannot be cleaned with regular toothpaste, as it will damage the materials--a special denture cleanser must be used to keep your new dentures in great shape. 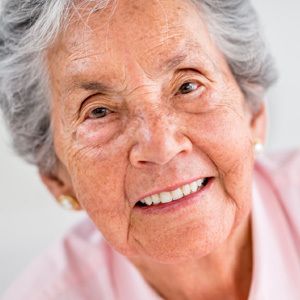 Relining your dentures is extremely important for your long-term oral health--this simply means re-adjusting to prevent loosening and slipping. Skipping your relining appointments can cause problems, so be sure to stay on schedule! Ill-fitting dentures will no longer properly support your gums and jaw bone, causing the tissues to weaken and your face to appear sunken over time. At Jackson County Dental, Dr. Pierce and Dr. Terhaar are experienced in fitting patients for partial dentures, helping them maintain oral health for the long run. To find out if partial dentures are the right option for you,request an appointment at our Seymour dental office or call 812-522-8608 today!